MuttNation Fueled By Miranda Lambert Guitar Strap Dog Bed and Harness - Who Said Nothing in Life is Free? 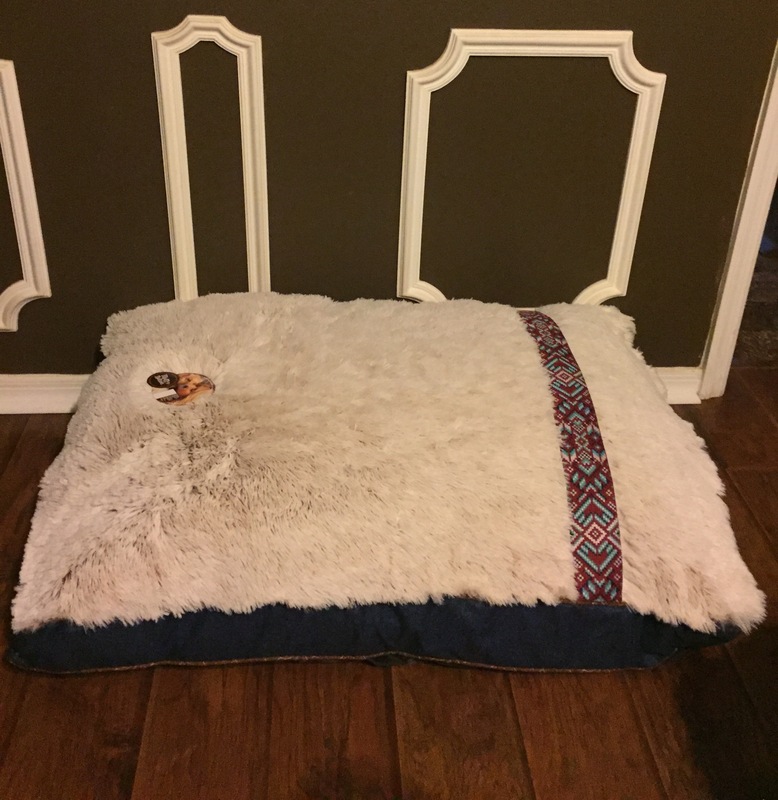 The MuttNation Fueled By Miranda Lambert Guitar Strap Dog Bed is ideal for a variety of sizes of dogs and features luxurious long-pile plush sleep surface with extra filling 4 pounds of recycled polyfill for superior support. This super-sized bed (40″x29″) is designed in blue tones with accents inspired by Mirandas vintage guitar strap. Also, inspired by Miranda’s vintage guitar strap, the MuttNation harness is perfect for any dog looking for extra swagger. 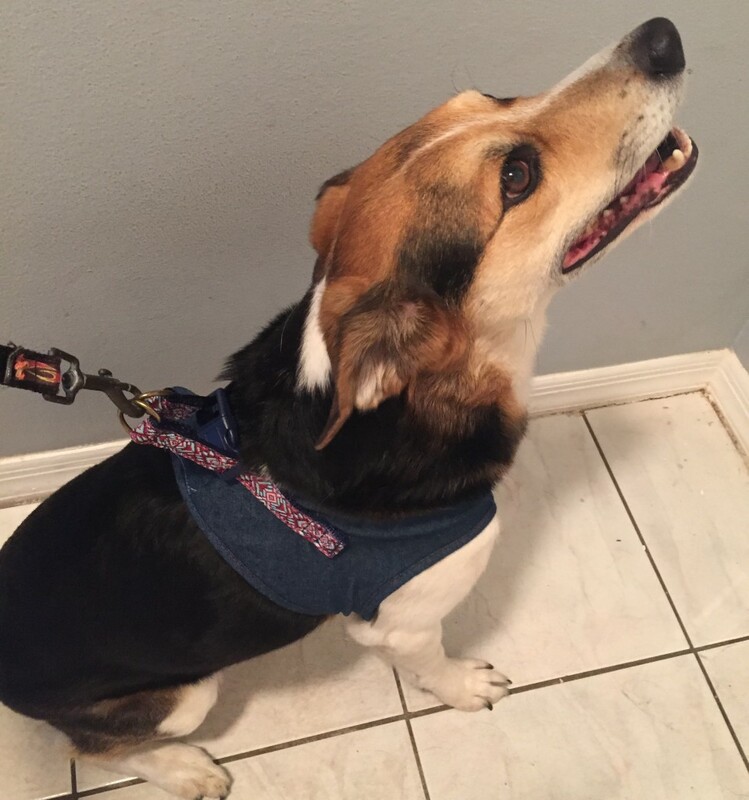 The velcro closure and auto-adjusting straps help keep dog secure and it has an easy to use step-in design. This harness gives extra support and safety when walking your pup and is available in XS-S-M-L sizes. One thing that I love is that all of Miranda’s proceeds from the MuttNation pet collection go directly to the MuttNation Foundation. SAVE A MUTT, SHOP MUTTNATION ! Is that Milo? He’s a big boy now.